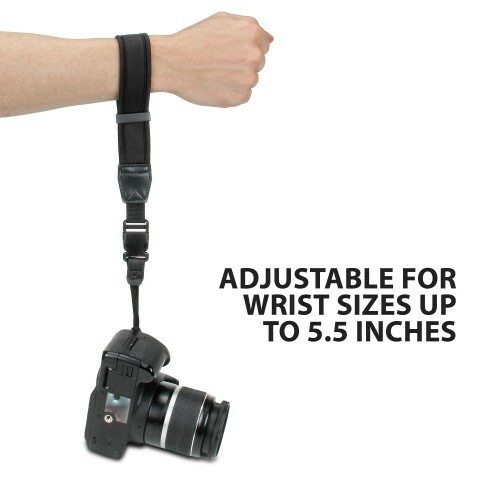 Use your camera safely without a neck strap! 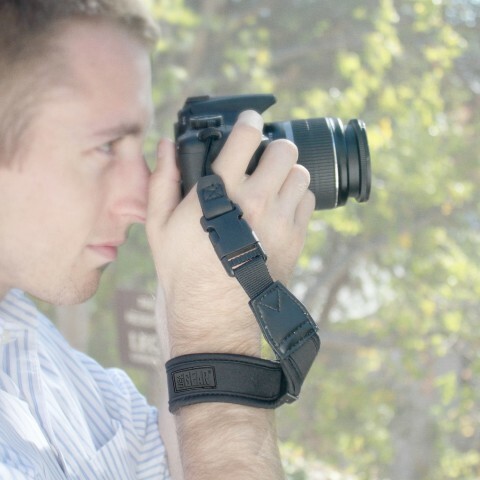 The USA GEAR TrueSHOT Wrist Strap provides comfortable support and prevents accidental drops. 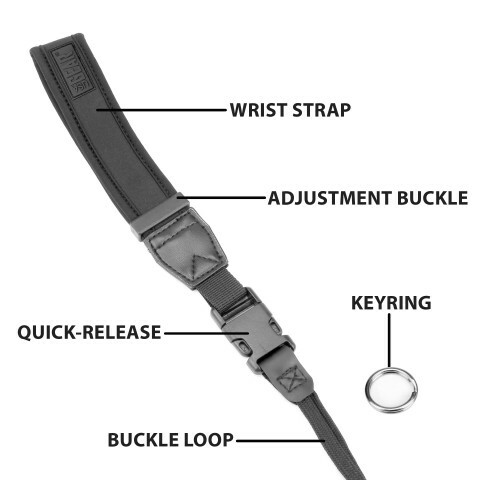 The quick-release buckle allows easy removal when you're on the go. 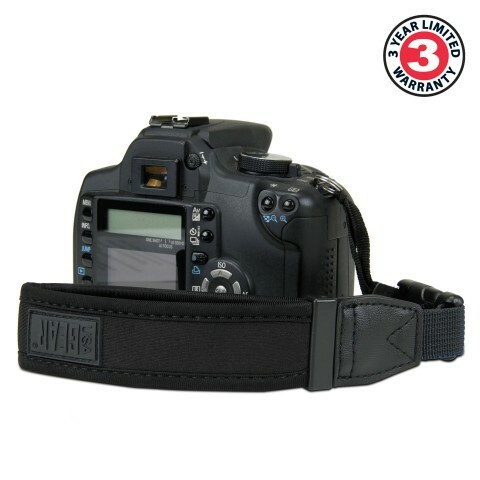 Shoot quick shots, above crowd shots and extended photography sessions without anxiety over your camera's safety! 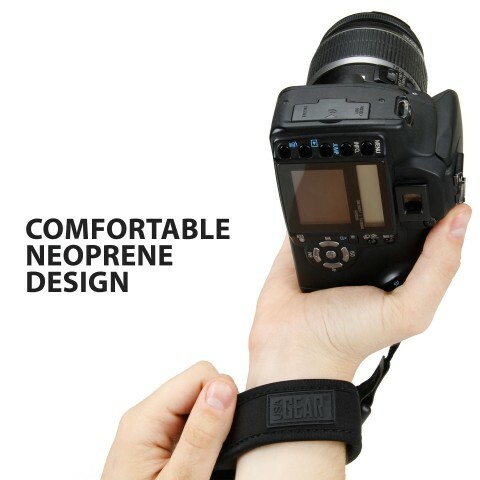 DuraNeoprene material makes this strap very strong and can catch the camera during accidental spills and bumps. 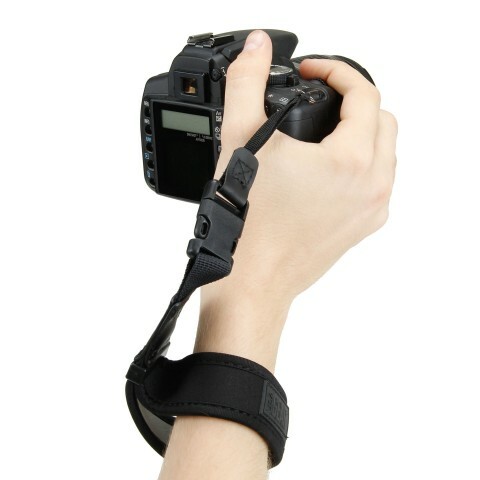 The comfort-padded material conforms to your wrist and a sliding buckle adjusts the strap to the size of your wrist to keep your camera secure. The design is so comfortable and lightweight that you'll forget it's there! 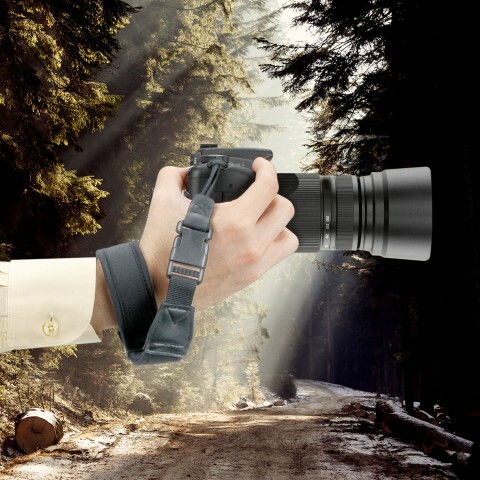 With one step installation, camera safety has never been this easy! 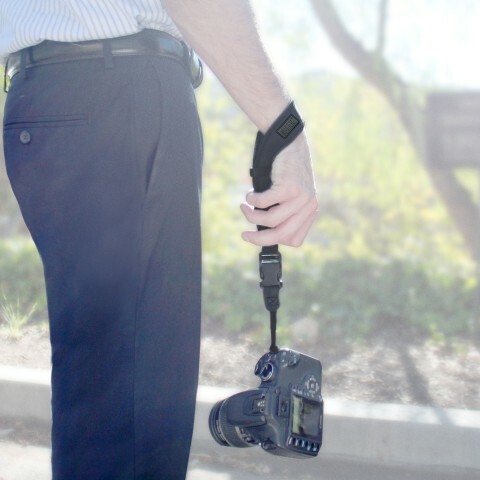 Simply attach your camera with the loop through buckle OR use included key ring for smaller strap connections. 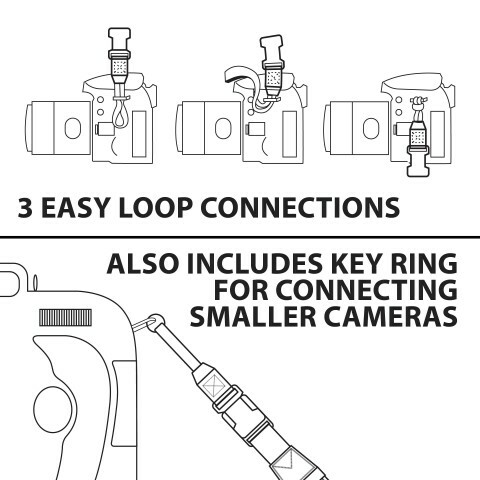 Just connect and enjoy extended camera safety throughout photo shoots and family fun days.